If you’re looking for affordable and quality garage door springs in Michigan, Taylor Door Co. is the company for you. We pride ourselves on providing everything you need when looking to replace your garage door parts and torsion springs. Torsion springs are the best choice for safety and reliability, and allow the door to work in a smooth and quiet fashion. This means years of trouble-free operation. 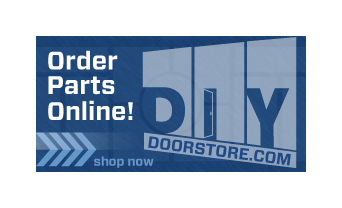 Call today at 1-800-NEW-DOOR or get your custom garage repair quote today! Taylor Door Co. provides quality garage door services and torsion spring repairs at the most affordable prices, leaving all of our customers satisfied. Taylor Door Co. is the No. 1 garage door spring repair and garage maintenance company in Michigan and has maintained its reputation for more than 30 years. At Taylor Door Co., we’ll make sure you never pay more than $300 for garage door repair in Michigan. We will do our job right, timely and keep our repairs at an affordable price! 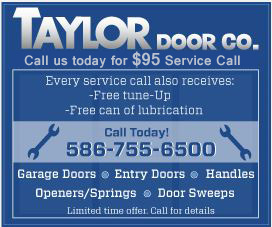 Call Taylor Door at 1-800-NEW-DOOR and receive the quality garage door services and repairs you deserve.